There are many existing ideas and theory about this topic among people, some say it’s a difference of taste, some say it’s the fiber content and some say it’s the color of the meat after cooking or before cooking. Some people even say that red meat is from mammal animals, while white meat is from non-mammal animals such as poultry and fish, but all this classification is not completely correct. We can get both red meat and white meat from the same animal and same bird (pig and chicken) which I will explain in detail in the below post. The only way to correctly classify the difference between red meat and white meat or dark meat and light meat is to define “what muscle (Twitch Muscle) part of which animal or bird the meat is from” because the purpose of the muscle during the animal’s or bird’s life will determine its color and the type of meat it becomes. There are two type of twitch muscle i.e. slow twitch muscle and fast twitch muscle. Slow Twitch Muscle are those muscle in animal or bird which are used for extended period of activity (walking, flying, swimming and standing) i.e. actively used body part of the animal or bird for example chicken legs. Muscles that are less active or used only when quick burst of activity is needed such as fleeing from danger is called as Fast Twitch Muscle for example chicken and turkey breast. How does twitch muscle determines the color of the Meat? I hope the concept of twitch muscle is clear now because the next part of this post depends on it. The slow twitch muscles need consistent source of energy due to its high amount of activity, now here’s the protein molecule named “Myoglobin” which comes into play. Myoglobin is pigmented protein that ships oxygen (oxygen carrying protein of the body) to the muscle cells, the more actively, and for longer period of time a muscle is used, the higher the presence of myoglobin in the muscle. Myoglobin not only carries oxygen to the muscle but also helps utilize oxygen more effectively by the muscle, it allows muscles to be used for longer period and for extensive activities like flying, standing and walking which in turns leaves pigments on the muscle cells and this pigment is responsible for the color of the meat. So in conclusion more active muscle leads to more presence of myoglobin which lead to more pigment and hence making the meat redder or darker….Sigh!!! The fast twitch muscle gets energy from Glycogen which is also stored in the muscles. Glycogen is a multi-branched polysaccharide of glucose that serves as a form of energy storage in animals. 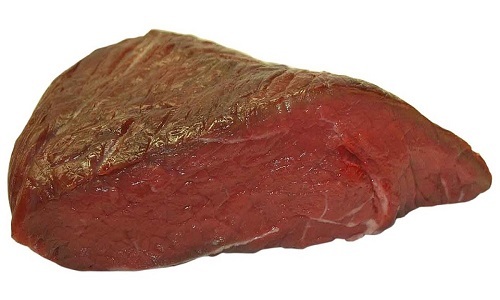 When the slow twitch meat or the red meat is cooked the myoglobin reacts to the heat or the temperature which changes its color, the color of the myoglobin dependents upon the internal temperature of the meat. 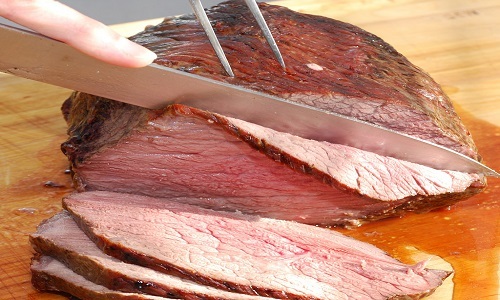 When the meat is cooked above 140° F, the binding ability of the myoglobin is lost, due to which a tan colored compound called Hemichrome is released which is responsible for the tan brown color of the medium cooked meat. Now when the meat’s internal temperature reaches 170° F, the level of hemichrome rises, which results in myoglobin becoming Metmyoglobinand this metmyoglobin is responsible for the brown color of the cooked meat. At or below 140° F there is little or no effect of heat on the myoglobin and the color of the meat remains almost the same i.e. pinkish red. When fast twitch meat or white meat is cooked the color of the meat changes but it’s still white. 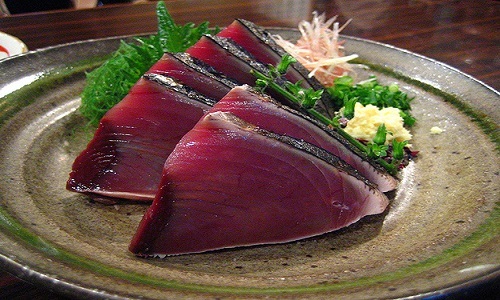 The translucent white color of the white meat when it is raw changes to creamy white color when cooked due to coagulation of the protein compounds. I don’t know if red meat is healthy or not I just know one thing that if you have a real hankering for beef steak or roasted pork ribs, it cannot be replaced by anything else. The higher level of saturated fat which is present in dark meat has given it a bad name also the taste of dark meat is more robust compare to white meat which has blander flavor. 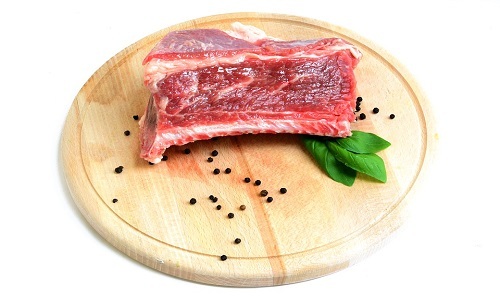 The best way to enjoy red meat is to select the leanest cut of the meat and trim of any visible fat. 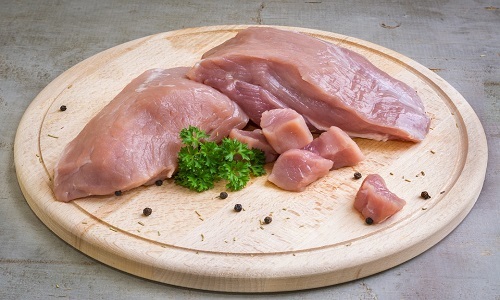 If you completely remove dark meat from your diet then not only you will miss some real delicacies but also miss on some minerals which are present only in red meat, in fact there are many minerals and vitamins such as zinc, niacin, thiamin, vitamin B6, B12, amino acids, iron, folate, phosphorous, selenium, etc. whose concentration in higher in red meat than in white meat. 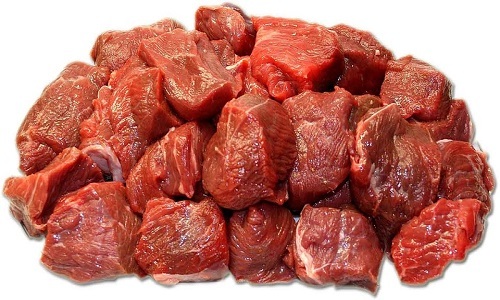 Red Meat- Mutton, Beef, Veal, Venison, Tuna, Chicken Leg, Turkey Leg, Duck, Goose, Pig or Pork, Lamb, etc. 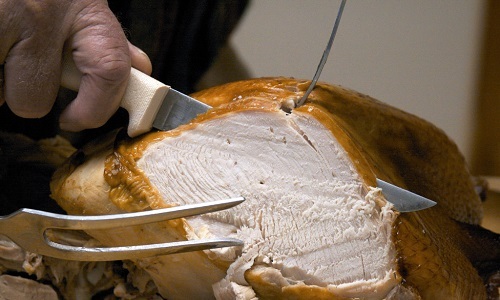 White Meat- Fish, Shellfish, Chicken Breast, Turkey Breast, Rabbit, etc. Leg muscles on most flight less birds are dark because they run a lot such as chicken, turkey, pheasant, etc. on the other hand migratory and other birds which fly a lot have dark breast and white leg meat example Woodcock and Grouse. Birds which walk, fly and even swim are complete red meat such as Duck and, Geese. Pork is White or Red meat? This confusion arises because of its light color meat even after the meat is cooked and that’s not because it is a white meat but due to its high amount of fat content. 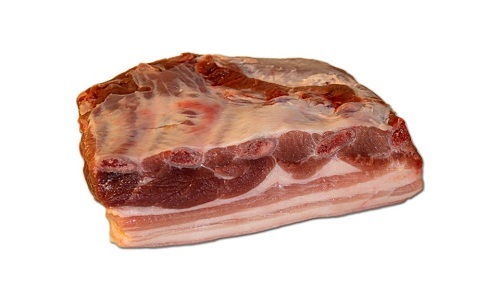 However the pork is sometime considered as white meat that is because the animal used for pork is young and small and the muscle is less developed due to low activity hence the color of the meat is pink. The myoglobin concentration is less in pig when compared to beef and lamb but still it should be considered as red meat only. Just because a hen is farm raised and has hardly used its legs doesn’t make his leg white meat and similarly if a veal is milk fed and raised in a cradle doesn’t make him white meat because it’s not about conditions of living, it’s about genetics which take years to change.